Composed by Jane Bastien, Lori Bastien, and Lisa Bastien. Other Supplementary Books. Bastiens' Invitation to Music. Halloween. Music book. Neil A. Kjos Music Company #WP290. Published by Neil A. Kjos Music Company (KJ.WP290). 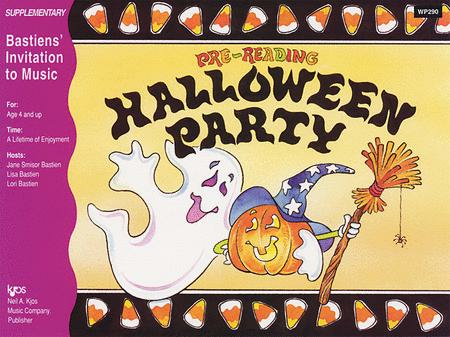 No one will be fearful of the pre-reading selections in Halloween Party! For your youngest students, playing songs about jack-o'lanterns, ghosts, and trick or treating, will inspire and thrill them.